It's the week we've all been waiting for - and training for! Everyone should wear the official race shirt you will receive as a registrant. It will be in your race packet. We will also have Team #COMPto5K bracelets for everyone. On race day, Team COMPto5K will meet at 7:15 a.m. by the picnic tables in front of S. Chapman. We often hang out here when we finish the workouts. Greg will have one of the large COMP signs. Packet pick up is at Charm City Run on Friday (3-6 p.m.), Saturday (10 a.m.-3 p.m.) and at GBMC on race day beginning at 6:30 a.m. Greg recommends picking up your packet on Friday or Saturday to give yourself one less thing to worry about. Go Team COMPto5K!!!!! 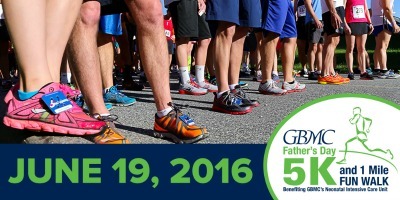 Visit www.gbmc.org/5k for additional race day info! 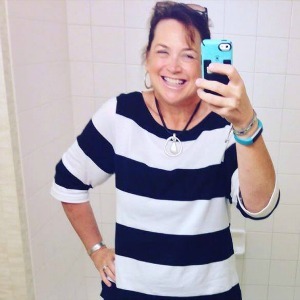 Susan is now a fitness fanatic with a huge following on Instagram: follow her @thinking_thin_rny. Q: What made you want to sign up for COMPto5K? A: When I saw that others from COMP were signing up, I thought that it would be a great opportunity. And I knew that if COMP sponsored the program, it would be geared for me. Q: How has the training been going? A: It has been going great! I really look forward to every Saturday when I meet up with my #COMPto5K friends to train. It is definitely a program for all fitness levels. We have walkers, joggers and runners. Some folks go the whole distance and others complete what they can. I have some knee issues that prevent me from running, but I do my best. I alternate between walking and jogging. 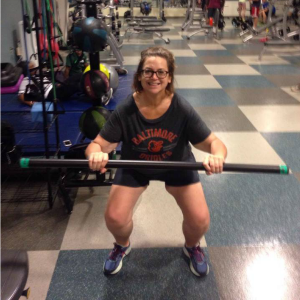 "I have noticed a marked improvement in my strength, flexibility and endurance since I started this program," Susan says. Q: What was it like starting a training program in January? A: It was freezing cold outside and you never knew if there would be snow or ice on the roads! I was about 4 months out from my RNY surgery, and at that time, I was always cold (shivering). 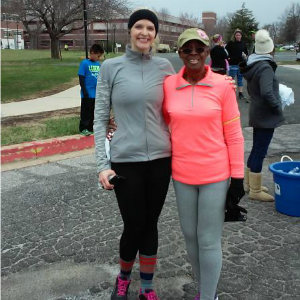 It was difficult to get myself motivated knowing I would be outside in the freezing temperatures, but I discovered that keeping a good pace helped warm me up. I am very thankful for the warm weather that we have now! 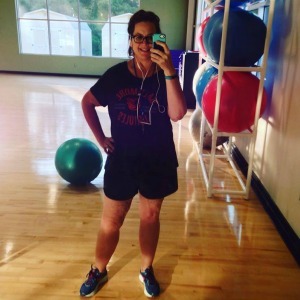 Q: What did your exercise routine look like before weight loss surgery? A: Before my surgery, I would walk about 20 minutes on the treadmill and then I would spend about 30 minutes strength training on the circuit. I was really proud of myself when I hit 5,000 steps on my Fitbit; that was a really good day. I wasn’t very athletic when I was younger, but I did enjoy riding my bike. You can find Susan in the gym or out jogging almost daily now! Q: What is your favorite part about being part of the COMP community? A: I feel very fortunate to be a part of the COMP community. COMP recognizes all of our needs by offering organized activities (like Paint Night, support group meetings, free Bodyvive classes, etc…) that bring us together. 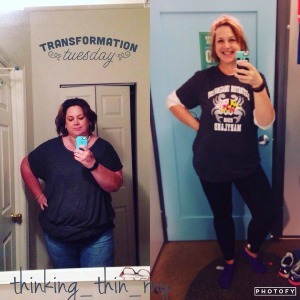 Prior to my WLS, I isolated myself. I was not very social; I did not enjoy being part of group activities. Since starting this program, I have found that I have come out of my shell and I have built some amazing friendships. Q: When did you have weight loss surgery? What was your starting weight, current weight and goal weight? A: I had my weight loss surgery on 8/06/15. My starting weight was 328 pounds; my current weight is 210; and my goal weight is 170. Q: What else would you like to add about your journey? A: Having weight loss surgery saved my life. I am a better wife, mother and friend because of it. I have so much energy now and I can do so many more things. This has been a lifestyle change for me. It’s not just about eating less food; it’s about eating the right foods and staying active. I’m so glad that GBMC COMP challenged us to do this 5K on Father’s Day. I don’t think I ever would have dreamed of signing up for something like this, even after losing weight, but it was a challenge I wanted to take. I have found an activity that I love to do. I time myself on my walks, to see how far I can go in how much time. I strive to get better everyday. Want to join Susan at the 5K on June 19? Sign up here! You've been training for months, venturing outside in the snow, rain and humidity to walk, run or a combination of the two. You've taken the stairs, set your alarm clock on Saturdays and purchased running gear you never imagined owning. You've found community in Team COMPto5K. You've cheered your friends across the finish line, Saturday after Saturday. You've broken out of your comfort zone. You've done all of this for you: for your health, your well-being and your confidence. And you've absolutely crushed it! 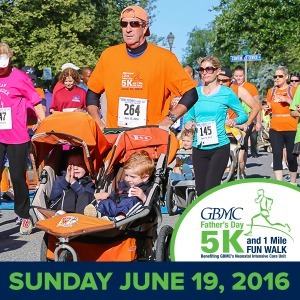 On Sunday, June 19, you'll hit the pavement for a different cause: to support babies in GBMC's NICU. The neonatal intensive care unit (NICU) team at GBMC cares for more than 400 premature infants and sick newborns each year. The NICU's 12 patient rooms are always in need of equipment and technology updates, to ensure it has the newest critical resources for the most fragile babies, who require round-the-clock care. Proceeds from the 5K help to provide resources for the NICU to make significant enhancements, so it can continue to provide top quality care for the tiniest patients at GBMC. Click here to read stories about some of the NICU's graduates. COMPto5K participants received a discounted race registration. If you would like to make an additional contribution to the NICU, please visit the fundraising page. We encourage you to share this link with your families and friends who have supported you along the way! We can't wait to cross the finish line with you on June 19! 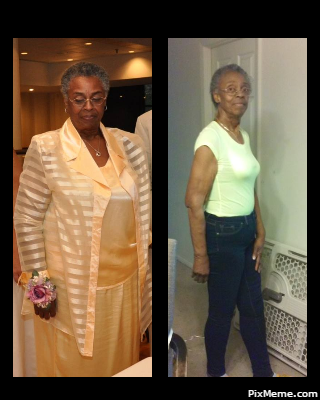 Weight loss has been an exhaustive 30-year journey for Le Smothers, who has now found success and a new zest for life, thanks to the COMP program and her inspiring family. We asked her a few questions about her weight loss journey. Le Smothers, before and after! Q: Is this your first 5K? A: No; I did my first 5K on the 4th of July last year at Charm City Run. It was more like a trial to see what I could do. This one feels more like my first 5K though because of all of the effort I've put into training - and it's a wonderful cause, benefiting GBMC's NICU. Q: What made you want to sign up? A: It's been excellent, but also challenging. It has helped me learn more about myself and my ability to face challenges. The motivation and the camaraderie of all the participants has helped me stay focused, and I have a purpose in maintaining my health and lifestyle. I want to see my grandchildren grow and mature, so I've never wanted to give up. A: I had the weight-loss surgery on 9/11/15. 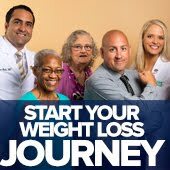 My starting weight before I entered the program was 239 pounds. At my first consultation with Dr. Dovec, I weighed in at 226 pounds. My current weight is between 146-149 pounds and my goal is between 139-140 pounds. A: Over the past 30 years, I have tried many forms of exercise, from Karate and Tae Kwon Do to dancing ballet, tap, jazz and lyrical. I've had various tennis club and gym memberships and also tried exercising on my own. When I was in high school, the most exercise I got was from the marching band. A: The friends I've made, the encouragement from my son Xavier and his wife Alicia and the support of the entire Bariatric COMP team as well as Dr. Dovec, Dr. Bello and Dr. Friesen. 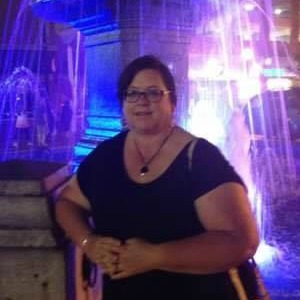 A: It has taken me the better part of my adult life to come to grips with obesity and the health problems I incurred as a result of being overweight. The health complications, including two total knee replacements, high blood pressure, sleep apnea, having my thyroid removed and the possibility of future health risks made me see that I had to choose whether to live or die. I chose life, and on this journey I've learned to respect life and myself. After exhausting all other avenues, it took courage to undergo weight-loss surgery. I am focused on living, maintaining my health and watching my children grow. 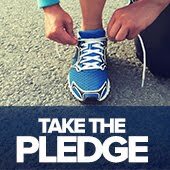 Want to join Le at the 5K on June 19? Sign up here!